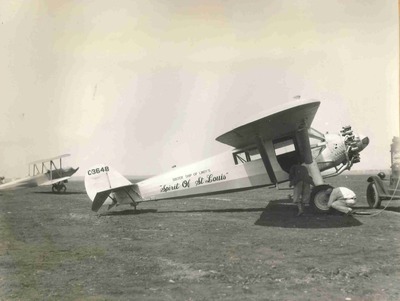 The Ryan Aircraft Co. made the plane that Charlie Lindberg ferried over to France. We met the sister of the ship – a symphony in shining silver. Of course Lindy used up more of his cabin with gas tanks. Pretty ship eh what?